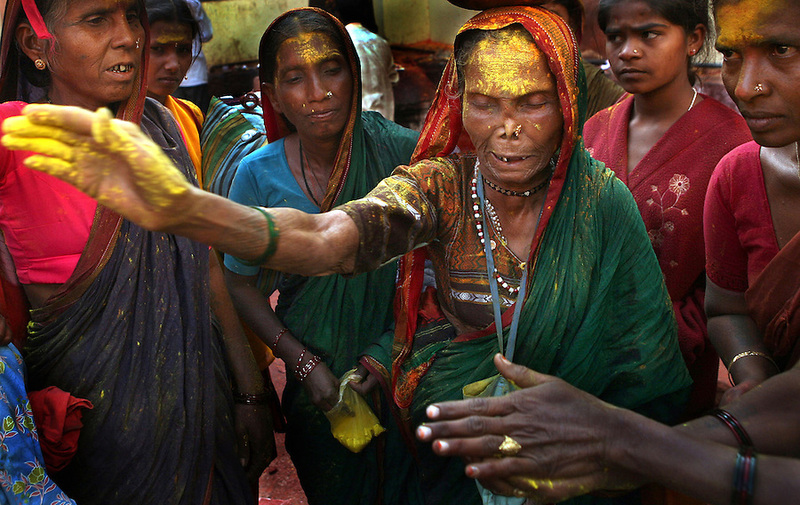 An older Devadasi acts as a medium between Yellamma and her worshippers during a session at the Yellamma Jatre in Saundatti, India. The Jogati enters a trance-like state and devotees watch in awe as Yellamma begins to speak through her. The medium cries out, shakes uncontrollably and often collapses in exhaustion at the end of the session. This provides worshippers more direct contact with Yellamma and the woman is duly compensated. These mediums are central to perpetuating the rituals of Yellamma and recruiting Devadasi, particularly during the time of the Jatre. .